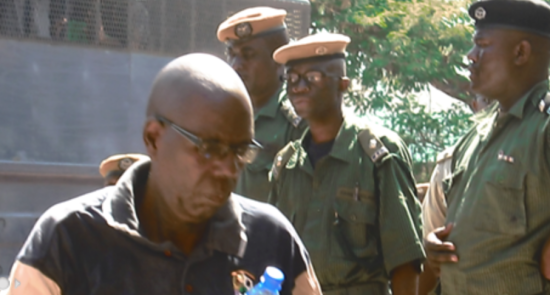 A Lusaka magistrate court has set free 54 Barotse separatist facing charges of treason for attempting to secede from the rest of Zambia after the state entered a nolle proseque. Magistrate Aridah Chulu set free the 54 activists that had been in detention since Augusts.30 of the activists were released early this month. “A nolle proseque has been entered by the Director of Public Prosecution (DPP) chambers and I hereby discharge you but would like to warn you that you may be arrested for the same offence,” Chulu said. Former Barotseland Prime minister and deputy minister of education in president Rupiah Banda’s government Clement Sinyinda was also released but refused to talk to the media. “I don’t want to make any comment I will say it at a later,” said Sinyinda. But one of the separatists Muleta Kalaluka said that their release was a victory for Barotseland..
“This is victory for us the people of Barotseland. This victory has shown Zambian judiciary system that they are not qualified. It was all political and we are going back to our country,” said Kalaluka. Scores of Lozi ethnic shed tears of joy as their activists were being release in batches and Sinyinda immediately kissed his wife.